Jen is a DIY enthusiast who was looking to create a small, cozy space to spend time with her family, relax and roast marshmallows. For her fire pit, she wanted a quality product that was easy to assemble. 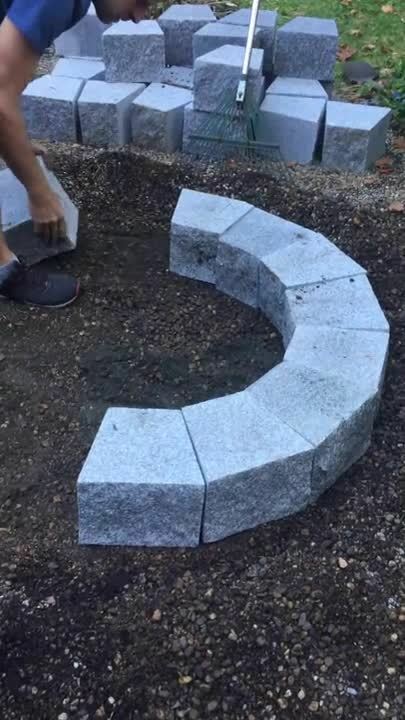 When she learned about Swenson’s DIY fire pit kit and the durability of the Woodbury Gray granite blocks, she and her husband AJ visited the Rowley, MA Swenson Granite Works store to pick one up and then got to work. The assembly process took them about 20 minutes. The Migonis family used Swenson Granite Works’ Fire Pit Installation Guide to build the 2-tier granite fire pit. 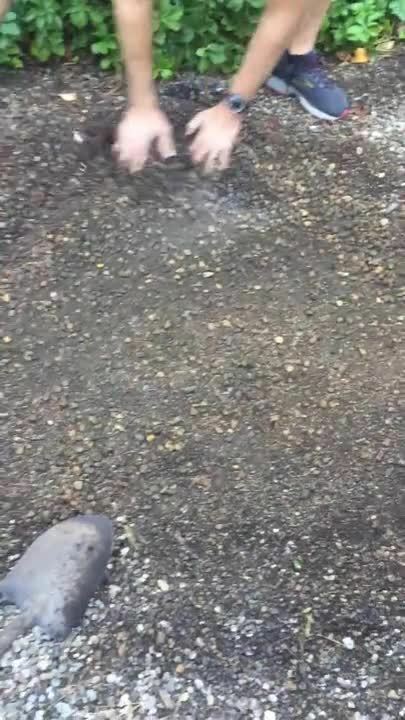 First, they made a flat area approximately four feet wide by six inches deep to install the fire pit and then dug a two foot deep hole in the center. Next, they placed the first level of granite blocks making sure they were all as close to the same height as possible. The blocks can be raised or lowered with a little more stone dust or dirt. There are 16 blocks per tier, and each one weighs roughly 50 lbs. Then, they added the second layer of blocks. And lastly, they placed the 30” diameter cast iron ring and tilt back cooking grate into the center. 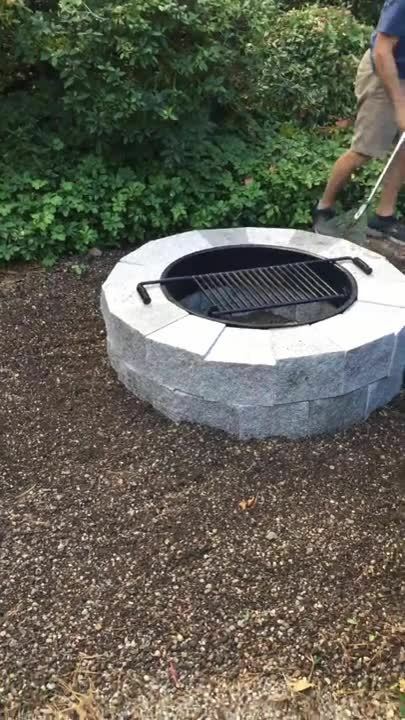 “I’d highly recommend checking out this fire pit from Swenson Granite Works if you live in New England -- it was so simple to set up,” said Migonis. And after all that work, the family ended the crisp fall evening roasting marshmallows together. Inspired by the Migonis family and want to build your own granite fire pit? Visit a Swenson Granite Works store near you to speak with one of our stone experts. The granite fire pit kits are stocked in Woodbury Gray, plus six other granite colors are available by special order: Autumn Pink, Caledonia, Deer Isle, Bethel White, Concord Gray and Cambrian Black. They are available as 1-tier, 2-tier or 3-tier. Metal dome fire pit screens are also available to purchase from Swenson Granite Works. Take a look through The Heart of the Home Inspiration Guide for more ideas on how to incorporate a natural stone fire pit, indoor fireplace or outdoor fireplace into your home design. Download it here.